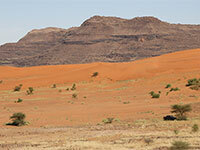 The Tagant Plateau is a broad basin covering about one million hectares, sloping north-east towards Lake Gabou. It is principally composed of sedimentary rocks. 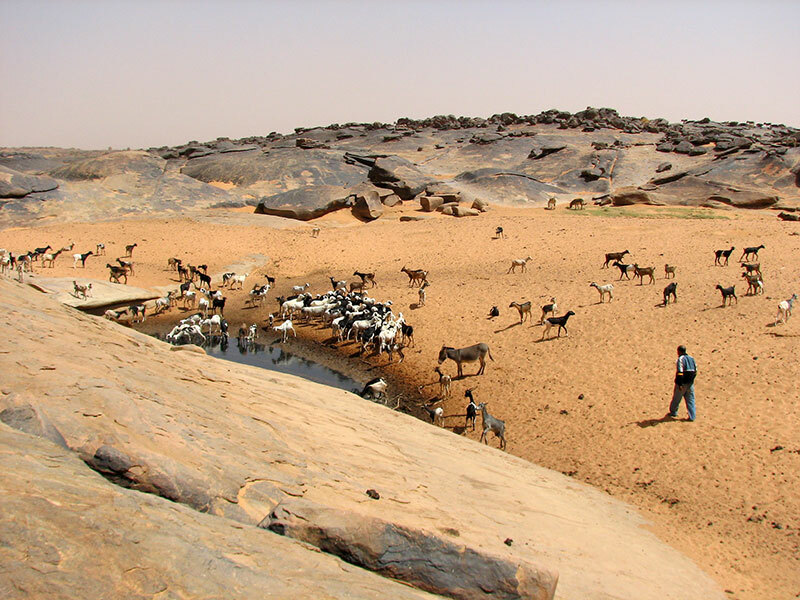 The climatic features of the plateau, and the impermeable nature of its clay surface, lead to a hydrological pattern characterised by widespread flooding during the wet season (July-September) and the retention of water in pools and lakes during the dry season. 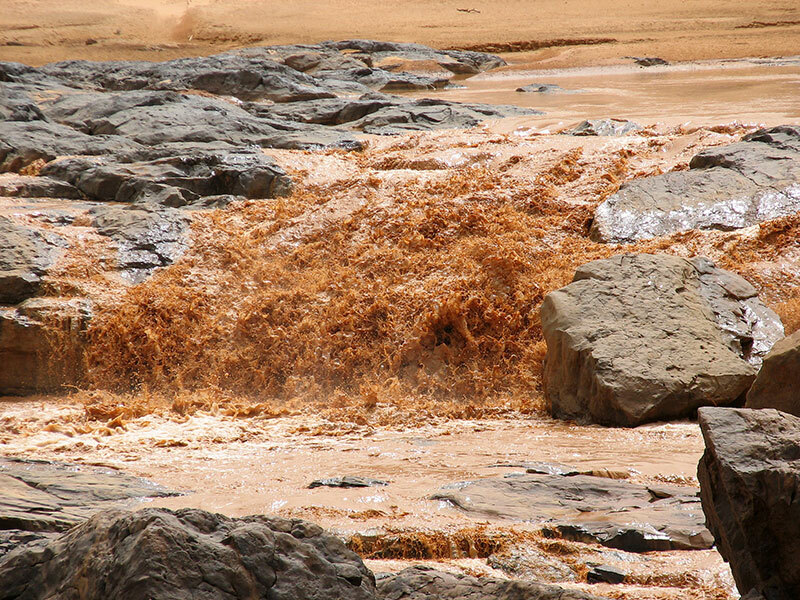 Seasonal pools are scarcer in the upper reaches of the water courses where, depending on their size and depth, they may dry out completely during the driest months. 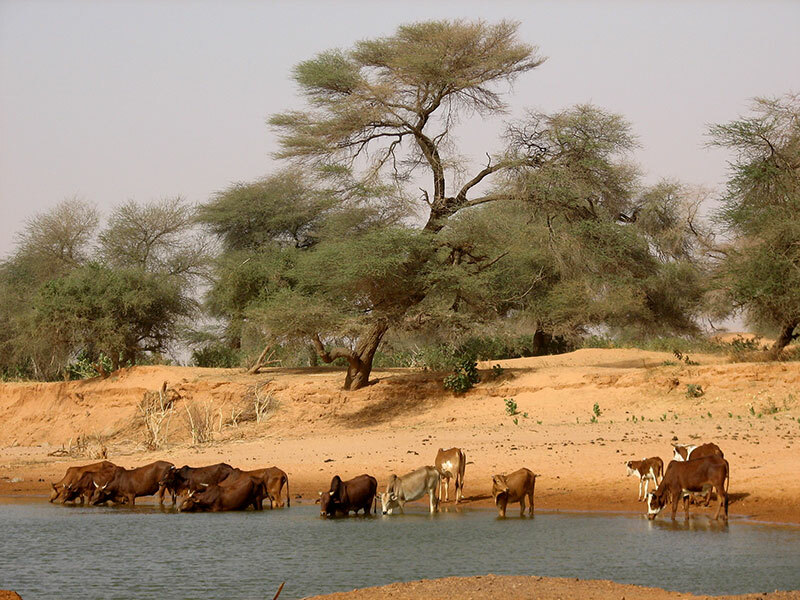 The Tagant Plateau is an important catchment area for the water which feeds the great aquifer of this part of Mauritania (the aquifer of the sands or Brakna aquifer).